New and improved for 2019. 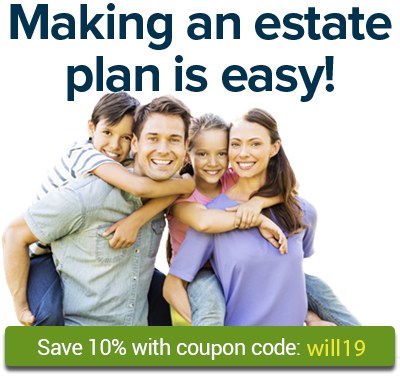 Design a complete estate plan for you and your family, including a living trust. The new edition of WillMaker provides important changes and automatic updates. Why can't I use WillMaker if I live in Louisiana? Is there a Mac version of WillMaker? Can I use WillMaker if I live outside of the U.S.? Can I use Quicken WillMaker to make a joint will with my spouse? Do I need to have my WillMaker will notarized? Why doesn't my will contain a list of my property? How many people can I name to serve as my executor? Does the WillMaker will have a “common disaster” clause? Does the WillMaker will contain a no-contest clause? Can I use the WillMaker will to make a conditional bequest? Usually, you don't have to leave your children anything. Do not use your will to leave money to a person with special needs. Use a separate letter to leave instructions for your executor. Avoid probate with Willmaker's living trust! Do I need to have my health care directive notarized? When working on your estate plan, you may find that you want to explain certain things to your loved ones. Why can’t I make a springing durable power of attorney for finances with WillMaker Plus? What is WillMaker's "Letter to Survivors"? You can use the Letter to Survivors to leave your loved ones some final thoughts. Question: Why does my durable power of attorney have those long, bolded, capitalized sections of text at the begining and (or) end of my document? Can I get technical support for WillMaker? Can I print a blank will? Can I see a sample document? Does WillMaker make backups of my documents?